There have been many books about Nelson Mandela, the South African hero, since his famous walk to freedom and his role in ending apartheid. This one shows another side of the famous man – a man devoid of self-pity and immune to the temptations of self-aggrandisement. 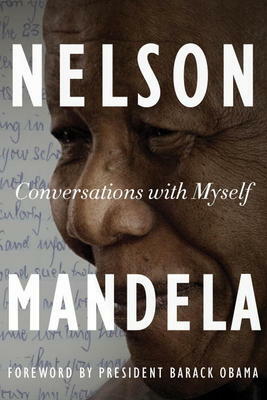 It is compiled from snippets of Mandela’s life, bits of his diary, calendars and letters he saved. Much of the material came from the hours of recordings by Richard Stengel who helped Mandela write his autobiogaphy “Long Walk to Freedom”. It also contains passages from a book Mandela was working on himself. There is a Foreword by President Barack Obama. Mandela hoarded his notes and letters. Many written in prison make very touching reading, e.g. his request to attend his mother’s funeral, which was turned down, as was his request to go to his eldest son’s funeral after a car accident. But the book gives an upclose look at the prisoners’ feelings. The overthrow of apartheid was a distant dream, yet still one worth fighting for. Prisoner 466/64 could have been freed decades earlier if he had agreed to live in a black “homeland”, but he refused.